Need more information about booking Home 7520997 ? 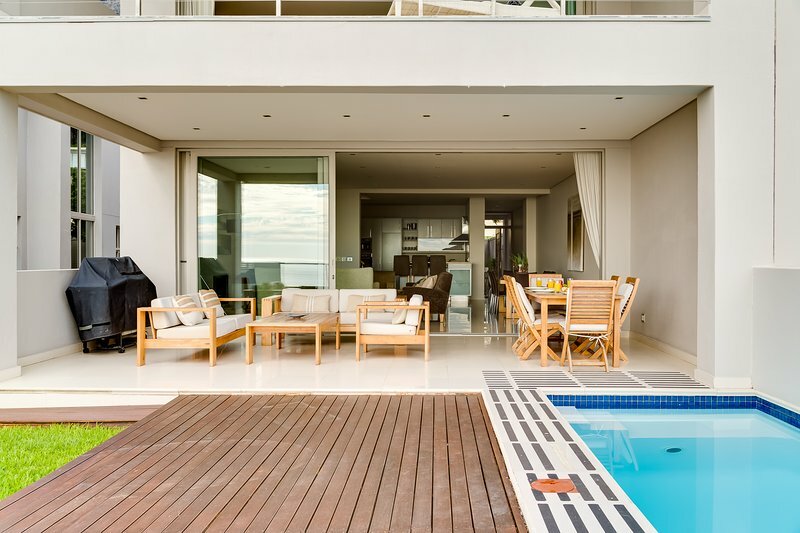 Elegant 5-bedroom luxury villa in Camps Bay with swimming pool. Perfect for family or friends looking for a luxurious holiday home. Neutral decor throughout with a modern open plan interior and stunning views of the ocean and mountains. Conveniently situated a short walk or Uber ride from Camps Bay main promenade. •	Bedroom 3 - 2 x single beds, aircon/heater and en-suite with shower. Even though I do not consider it suitable for kids, we have many happy returning clients with small kids stay here. Issues of concern at open balconies and staircases. The children would just need supervision. You will also be required to sign a noise control agreement on arrival. Estimated price per night based on a weekly stay. Owner fees of £15,423.00 per stay may apply. Enter your dates to see the total cost.